With a host of benefits in terms of exercise and relaxation, it’s no wonder that many people are looking into the possibility of owning their own swim spa, and we at Spa de la Mare are proud to be able to offer a number of options to suit even the most discerning clients. 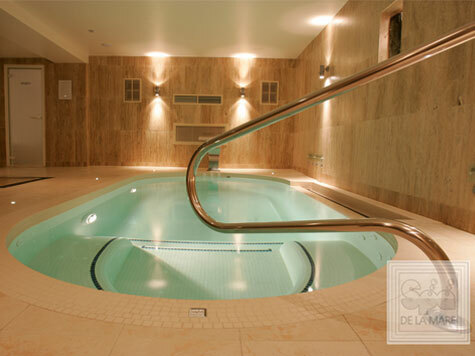 With more than 35 years in the business, Spa de la Mare has provided more than 3000 spas to many extremely happy customers, and we’d be delighted to help you choose the perfect swim spa for your commercial or residential space. 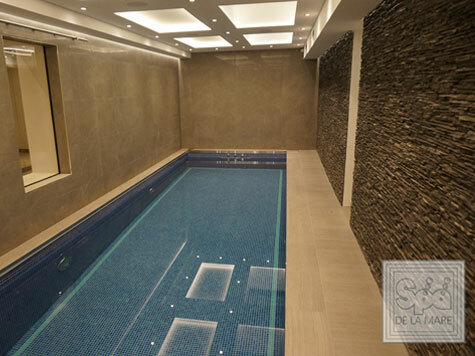 The directors at Spa De La Mare will converse with you architects to ensure your plans and building works are in sync for the installation of your luxury tiled Swim Spa. Our sales team are extremely knowledgable and patient. We appreciate that the planning and logistics of installing your Swim Spa can be a lengthy process. We are on hand to make everything run as smoothly as possible and offer advice where needed. We would be delighted to produce a 3D digital render of your chosen Swim Spa in whatever colour tile and jet configuration you choose. That way you can rest assured that you have chosen the perfect Swim Spa for your needs before our design studio and factory begin construction. 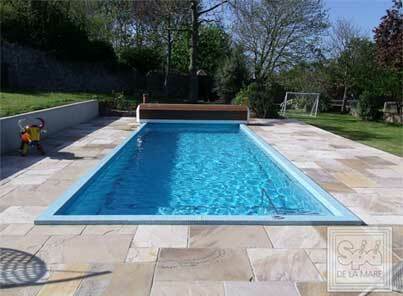 Spa De La Mare have produced over 3,600 stunning tiled pools since opening our doors in 1980. 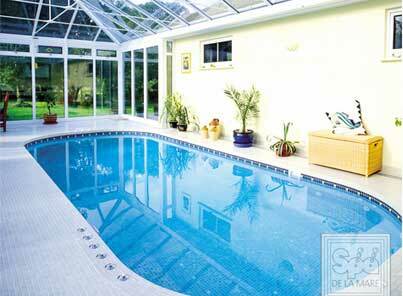 Many of our original pools are still in use today and all of our satisfied customers are reassured by our water tight 10 Year Parts Guarantee. Based on the concept of the Cleopatra II SE Swimspa, the Short End version has slightly smaller spa seating for therapeutic relaxation with the provision of the standard length swimming area, at an affordable price. 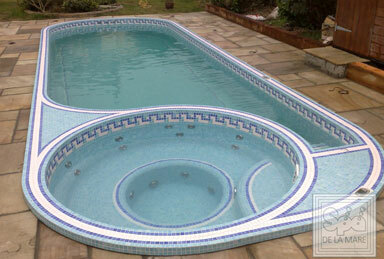 With the Cleopatra range the beauty of a Swimspa really begins to take shape. Energy efficient and benefiting from incredible heat retention, which means these Swimspas won’t put a drain on your consumption. This means you can use the pool instantly, at a temperature to suit, whenever you want. A great place to unwind after a busy day or for friends and family to all enjoy in comfort. 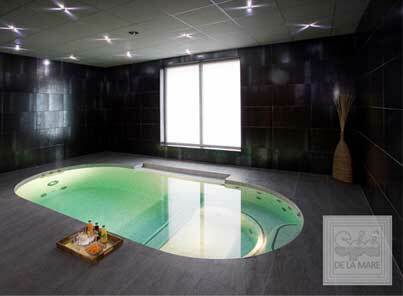 This swimspa really is the ideal swimming pool alternative – the room to move combined with the health benefits of the swimming jets and the hydrotherapy benefits of the multi-spa jets, all beautifully hand tiled in a mosaic finish of your choice. The Cleopatra IV provides you with the same advantages of a swimming pool, without encroaching on space. The Cleopatra IV is available in a number of lengths with a bespoke finish to suit your requirements. The exquisite and fully functional hydrotherapy swimmer provides the health benefits and relaxation that you deserve. 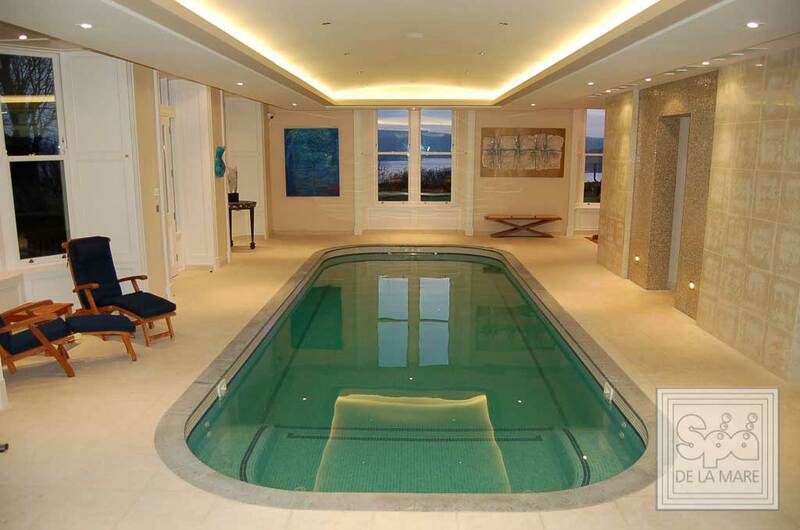 The beautifully sculptured dual pool combines the advantage of a swimmer and the relaxation of a spa, providing flexible benefits for all family and friends. Furnished to the highest quality, the Cleopatra V is available in a variety of lengths to suit your personal needs and in keeping with your surroundings. The latest model in our hydrotherapy swimspa range is perfect for exercise and relaxation all year round for you and your family. 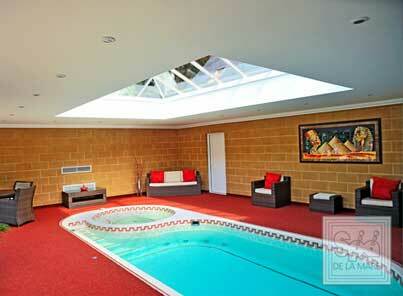 The Cleopatra VI is the perfect alternative to a swimming pool whilst delivering all the benefits of a Spa. Our long-standing reputation in the industry serves as proof that we are able to offer beautiful, bespoke handcrafted swim spas that last, and with one eye on technological developments in hydrotherapy, we’re consistently looking for ways to improve our swim spas, so you can be assured of premium quality. This, coupled with our attention to detail, and our dedication to providing world class customer service, both before and after purchase makes us first choice for our clients all over the world. 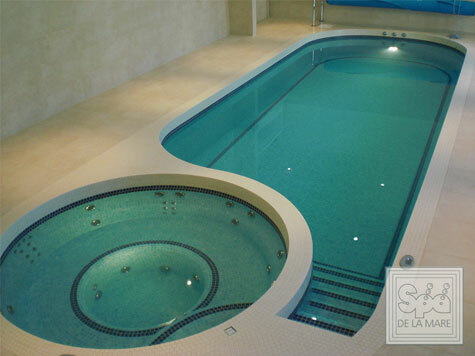 Purchasing a swim spa from Spa de la Mare offers so much in terms of health benefits. 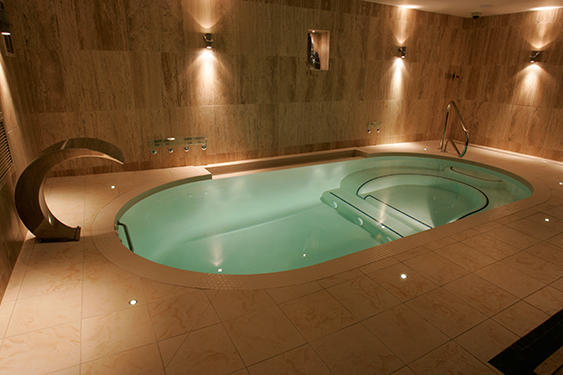 Whilst swim spas are often looked upon is primarily for exercise, hydrotherapy is often used to treat a manner of conditions such as sports injuries, stress, long-term pain, arthritis, sleep issues, headaches depression and more, so whether you’re looking for a way to relax or energise yourself, then a swim spa offers a holistic solution. When it comes to finding a swim spa that perfectly complements your space, Spa de la Mare are on hand to offer a number of personalisation options to ensure your swim spa suits all of your needs, both in terms of form and function. 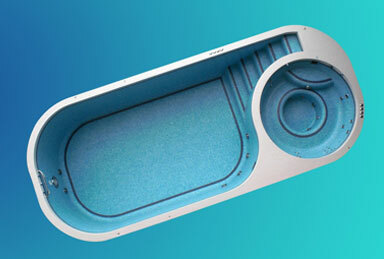 From tile design, to jet positioning, to size and shape, our swim spas can be tailored to suit your specific needs. However, if you’d prefer to order from the swim spas we have in stock, you could have a stunning swim spa in your space sooner than you’d think. 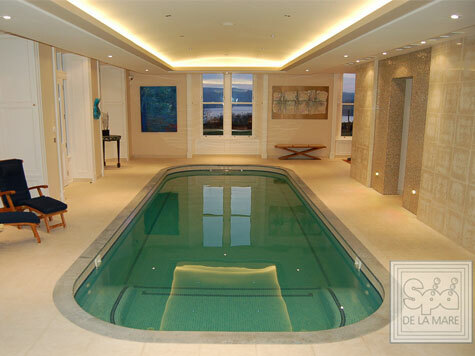 Working with both residential and commercial clients to offer bespoke swim spas to suit a range of unique needs has allowed us to develop a true understanding of our clients, and we feel we can offer swim spas to suit every space, from the smallest residential properties to large commercial premises such as hotels and gymnasiums. With all this in mind, and our commitment to our clients’ happiness, at Spa de la Mare, we invite you to contact us for a quotation for your own, completely bespoke swim spa that you’re sure to enjoy using for many years to come. 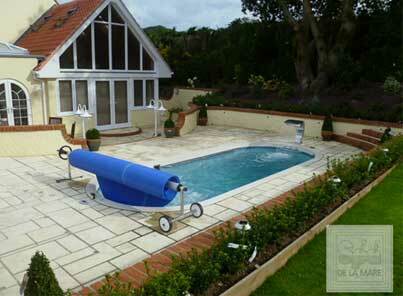 Spa De La Mare have been manufacturing pools since 1981. As the forefathers of the Swim Spa in the united kingdom we have set the bar for over 36 years and continue to innovate year after year. Best Western Hotel De Havelet has been so fortunate to have been partnered with Spa De La Mare company more than a decade. 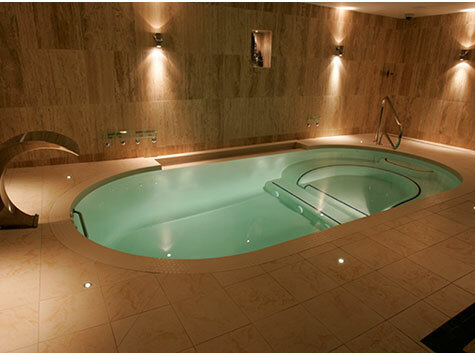 Spa De La mare LTD provides a comprehensive maintenance service to our Health Suite Facilities. 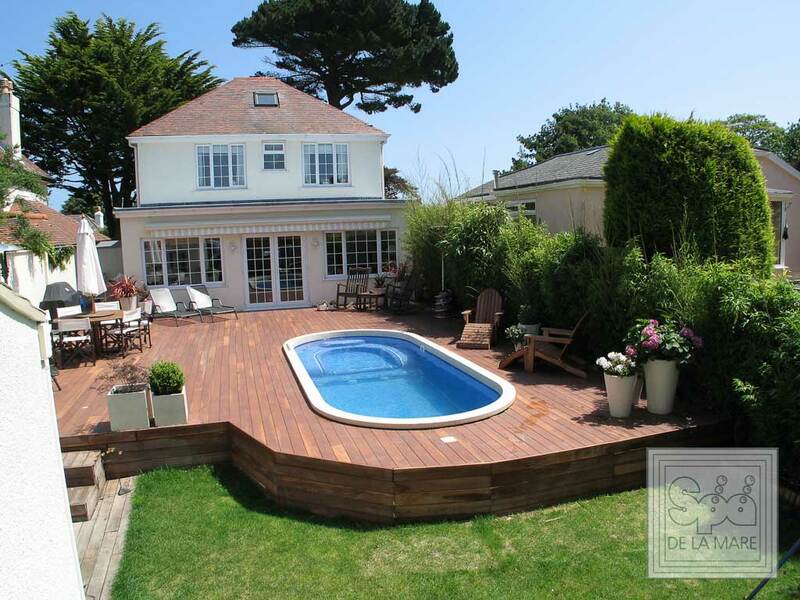 Spa De La Mare has been a very reliable and professional Contractor for many years, providing us with our chemicals, but more importantly advice and the knowhow on how to keep La Grande Mare swimming pools in tip top condition. Those purchasing a swim spa will already know of many of the health benefits of hydrotherapy, but when it comes to working out in one, there's no one exercise programme that suits everyone. With a number of different exercises that you can enjoy in your swim spa, we take a look at the basics to consider before you start exercising, and then some additions you can make to your swim spa to really feel the burn.